Our Laguna Niguel Jiu Jitsu Team had an outstanding showing at the Tinguinha In House Tournament. 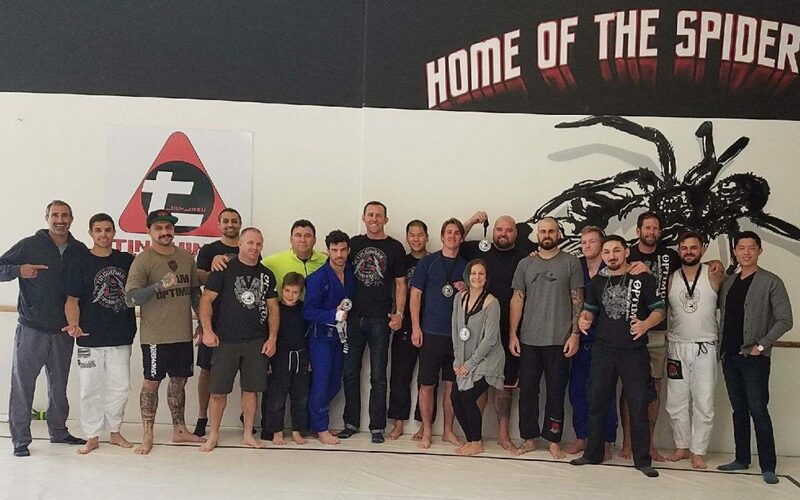 The 10th annual Tinguinha In-House tournament is always a favorite with our Optimus Jiu Jitsu team. 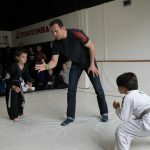 We had Jiu Jitsu practitioners from Dana Point, Aliso Viejo, and Laguna Beach in attendance for the martial art tournament. The day got started with the kids Jiu Jitsu competition. Stephano easily dominated his division to capture the gold. Alex used his technical guard to bring all of his opponents to submission. Beck was able to use his effective take downs to secure the silver. 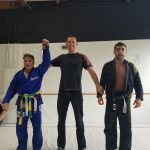 Konrad, Cole and Kyle all showed excellent BJJ while earning the sliver. Ryan and his sister Lauren both fought like champions taking home gold. 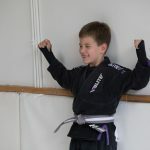 We are so proud of our kids Jiu Jitsu class. Coach Jay Jay, Jason, Eugene and Zach are doing an awesome job preparing them for competition and for life! The adults got started in the afternoon with Clay Miller and Matt Bedolfe stomping out their divisions for the the gold. Evan crushed it, submitting both of his opponents for gold. Kevin’s guard was impossible to pass earning him 1st place. Charlie, in his first tournament was able to defeat guys half his age for the silver. Garret soundly beat his first opponent for the silver. Samantha stood against a very game competitor and got Silver. Our own Coach Zach had a surprise super fight at the end of the day which he won. To make the day complete the team met for food at BJ’s Grill afterwards to celebrate. 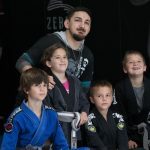 The camaraderie, discipline and gameness of our Laguna Niguel Jiu Jitsu team is impressive. Lets keep up the great work!